Includes expanded map of Insomnia, first-person camera mode, more. Square Enix has announced Final Fantasy XV Royal Edition for PlayStation 4 and Xbox One, which will launch alongside Final Fantasy XV Windows Edition for Steam, Origin, and Windows 10 on March 6 for $49.99. Both Final Fantasy XV Royal Edition and Final Fantasy XV Windows Edition feature the base game and over 20 game add-ons / downloadable content, as well as new features including an expanded map of Insomnia with new enemies and side quests, and a first-person camera mode. 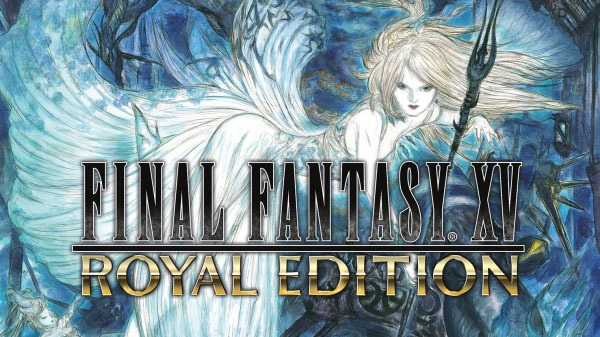 Final Fantasy XV Royal Edition will feature a new package design by Yoshitaka Amano. For existing Final Fantasy XV owners, a “Final Fantasy XV Royal Pack,” which includes the new downloadable content in Final Fantasy Fantasy XV Royal Edition, will also be available on March 6 for $19.99. Windows Store – By pre-ordering through the Windows Store, fans will receive the bonus “Final Fantasy XV Powerup Pack.” This pack contains items designed to power up the player’s performance in combat. Steam – By pre-ordering through Steam, fans will receive the bonus “Final Fantasy XV Fashion Collection.” This pack contains a selection of outfits for the prince and his pals. Origin – Those who pre-order on Origin will receive the bonus “Final Fantasy XV Decal Selection.” This pack contains an array of cool and colorful decals for the Regalia. More details on the early purchase bonuses will be available at a later time. More information about pre-order bonuses can be found at the Final Fantasy XV official website. Watch the Final Fantasy XV Royal Edition and Final Fantasy XV Windows Edition trailers below. View a set of screenshots at the gallery.